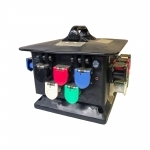 This LEX 200 Amp Pagoda Camlock Power Distro uses a set of (5) camlock color-coded panel mount inlets for input power. 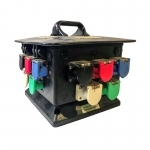 This box provides 100 Amp Camlock color-coded outlets to distribute power further down stream. 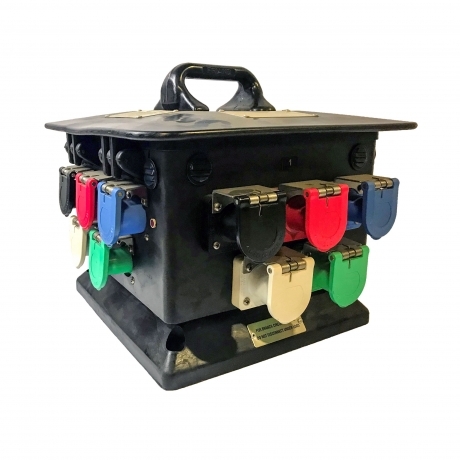 The feed thru feature allows multiple boxes to be placed along the same feed.